This area contains stories and news about Kye Bay. Well, the pests seem to have retreted a bit as days and nights are cooler, but the efforts to eliminate a repeat of this year’s plague are continuing. Below is a kind of a timeline and excerpts of ongoing dialogues that we all hope will lead to some effective remedial actions to reduce or even eliminate the miserable intrusion of clouds of mosqitoes into our life. From the information below it looks like your area is perfect habitat for this particular pest. +++ Ae. (Oc) dorsalis and melanimon are very similar species producing up to two generations a year in saline pools and flooded pastures in the interior of the Province. Ae. dorsalis is also found in coastal salt marshes around the Georgia Strait and south to CA. It is known to feed on birds occasionally. Testing on the Kye Bay swamp to begin, initiated by Comox. 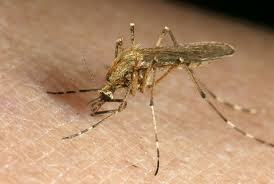 Sieffert’s mosquito samples were mailed to the Abbotsford entomologist on Sept. 8. Sieffert’shad difficulty retaining their workers this summer, because they were being eaten alive by mosquitoes while working in the fields. A dialogue continues with Kathie, the intrepid mosquito sample catcher and initiator of the effort to get some action on this problem. 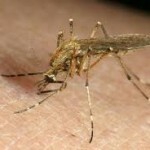 Mosquito-Borne Viruses Hit Japan and the U.S. If you have a story to illustrate the impact the mosquito plague has had on your life this summer, or any time, please add your comment to this post. Better yet, if your business has been impacted or your and your kids couldn’t play outside, write to the Regional District or Comox Town about it. Let’s keep the momentum going and get a plan in place to combat this pest next year. This from a neighbour on upper Kye Bay Road, Kathie: Last evening I walked through the Claddagh Estates. At the Simon Crescent cul de sac, I was met with mosquitoes that rather aggressively followed me for the two long blocks back to the lift station on Kye Bay Rd. A Claddagh neighbour was walking her two dogs and all 3 were being swarmed, so much so, that she was reluctant to stop to let the dogs do their business! Today I spoke to Bob Sieffert who called a Department of Agriculture rep because he is plagued with possibly the same new species of mosquito. They swarm and attack his field workers even in the wind. Samples were collected and he is awaiting the results. I’ve spoken to neighbours of the Kye Bay Beach swamp, who have observed that the swamp has recently evolved into serious mosquito breeding ground. I’m trying to encourage someone with a small dugout adjacent to Claddagh Estates, to put Mosquito Dunks in his pond. He, as I have mentioned, has developed Staph infection from reaction to mosquito bites and is on antibiotics. Now I hear that nearby, there are larger, deeper dugouts behind the coastguard wetlands on Simon Crescent. The new storm sewers at Claddagh Estates are also probable breeding grounds. So many hotspots up here! Kathie has done a lot of research on this subject and started an email campaign and dialogue with various people at Comox, Regional District, VIHA to raise awareness of this problem and affect some remedial action at least for next year. For example, here is what Saanich did this year, as per an article in The Times Colonist. I’ve lived in Kye Bay since 1995 and never saw mosquitoes, beach flies, but not mosquitoes.That changed last year when they suddenly become a nuisance and this year they became a plague. This aggressive mosquito population probably originates from the brackish slew by the Park. Visitors and residents alike have not been able to sit or walk outside without taking some counter-measures. Clouds of the critters rise from the ground when you walk in the grass.Thick clouds assembled and swarmed at dusk earlier in the year. So while we had a close to perfect summer, many couldn’t fully enjoy the outdoors. Several Kye Bay residents have written their comment to the Kye Bay community. I am sure we are not alone. 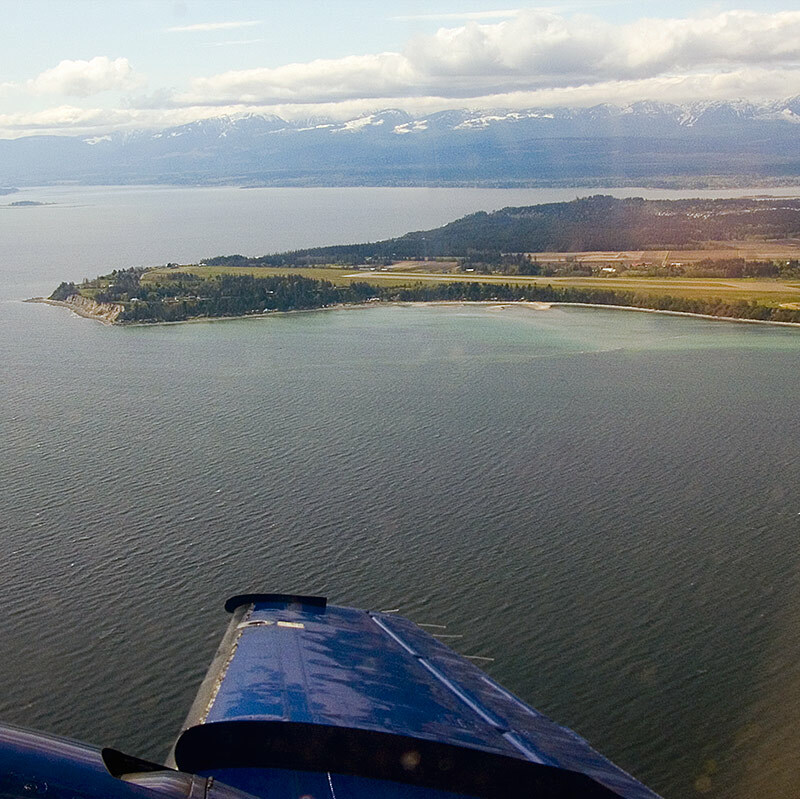 You, as a Kye Bay visitor, resident, or Comox Valley visitor or resident, are invited comment and add your mosquito story to this post. We would like to be able to convince decision makers to put in place a plan for mosquito prevention by convincing them that this is not a nuisance but a plague. Here is a National Geographic article on the critters. There is a mosquito invasion in Kye Bay. Clouds of pale mosquitoes hover in the grass in Elk’s Park, and everywhere else. It started last year and this year those critters are particularly aggressive and numerous. The marshy area in front of the park is probably the source for the invasion. When I saw a parent circling two children playing in the sand, rhythmically beating the air with a towel to keep those blood suckers away from them, I thought it’s time to put out a warning. Come to Kye Bay prepared, bring with you some effective mosquito repellents, you will need them here. As many know by now, our Kye Bay neighbour and friend, John Bullock passed away on February 4, 2014. The family is asking that instead of flowers you consider donating to either the local Hospice Society or to Cancer Research. On Wednesday 27 November, 2013, sixteen concerned people from Kye Bay attended a meeting at the K’omoks Band Hall, arranged by Salish Sea Farms Ltd at our request. This company, which is owned by the K’omoks First Nation, has applied for a licence to occupy about one square km of sea bed off Kye Bay, for the purpose of farming geoducks (see link “Potential Geoduck Farm in Waters Off Kye Bay”, right, for application details and initial reactions from Kye Bayers). Mr. Tom Broadley, a Registered Professional Biologist and company agent, answered our questions for some 90 minutes. The company’s vision is to operate a sustainable business that will remain viable for the band’s grandchildren and beyond. The company wishes to be a good neighbor and will have an open door and mind to any reasonable concerns of its neighbours. All areas proposed by the company for geoduck farming are already being harvested for wild geoducks every 3 years, and have been so for many years. The existing commercial fishery is near collapse due to harvesting at an unsustainable rate. Residents may have noticed boats in the spring which are conducting surveys or harvesting. The company is expecting the most significant resistance to its application to come from existing geoduck fishing licence holders who will likely claim loss of income. The approval process may take as much as 5 years. The primary difference between what is occurring now and what will occur in the future, if the company’s application is approved, is that the farmed areas will be reseeded with juvenile geoducks after harvesting, and the sandy bottom will be covered with a net (about ¼” mesh) for 1 to 2 years. The net is buried around the edges and held 6″ above the sea floor by PVC or wood posts to prevent predators (crabs, starfish, urchins) from eating the young geoducks. The net is recovered and reused after the geoducks have grown and burrowed deep enough to be safe from predators. The geoducks are harvestable about 8 years from seeding. Each year, about 1/10th of the licence is seeded. After about 8 years, the first area seeded is harvested and re-seeded. The company will be required to reseed after every harvest. Failure to do so will result in the loss of their farming licence. Harvesting is accomplished by divers working from a boat who use a high pressure water hose to loosen the clams. The sand is coarse enough that it does not migrate very far away from the site. Boats used for farming operations are relatively small (about 30’ aluminum) and will be difficult to see from the shore. Engine noise is low and will probably not be audible from the shore. Hours of operation are normal business hours. Operations will not take place in the middle of the night or early mornings. All farms, including the Kye Bay licence, are located at a minimum low tide depth of 30’ and the nets and other evidence of the farm will not be visible at low tide. The proposed Kye Bay farm is outside the reef. For the most part, the seeded areas will be more than 2 km from shore. The habitat preferred by geoducks and consequently all areas applied for farming by the company are barren flat sand. A person diving in these areas would observe little or no life. The impact of geoduck farming on other species is thus low. The company is not permitted to farm geoducks in environmentally sensitive areas such as kelp or eelgrass habitat. Even if the company were permitted to operate in these areas it would not do so because it understands the importance of kelp and eelgrass to the ecology. Furthermore, farmed areas have no rocks and therefore are not suitable for kelp growth. The company does not intend to modify the local wild geoduck genetic stock. All broodstock will be obtained from local wild populations. No broodstock will be obtained from other regions such as Washington State. No nutrients or drugs will be applied to the farmed areas. The company is required to contribute to an industry association fund that will pay for equipment removal and habitat restoration in the event that the company fails. Equipment losses are important to the farmers, as their business depends on keeping the predators out until the geoducks are established. The company patrols beaches adjacent to its farms on a weekly basis and will promptly remove any netting or other equipment that washes ashore. Residents are also encouraged to report any farm debris to the company and it will be dealt with. Winds and currents in the Kye Bay region are such that in the unlikely event that a net did break free, it will not end up on Kye Bay beaches. If a net did end up on a Kye Bay beach the company would retrieve it with boats and would not operate equipment on the beach. The company’s application included the possibility of sea cucumber farming. The reason for this inclusion and the company’s plan are unclear. Mr. Broadley said sea cucumbers are not the focus of the planned business. An environmental impact study will be conducted prior to approval of the company’s application. It is unclear what input or review Kye Bay residents will have over this study.